Most people become carers through a change in circumstances of a family member or friend. They may take on the role of supporting a parent, a child, another family member, a partner or a friend. Mental health issues can affect a person at any stage of life. This means that anyone can find themselves caring for a family member or friend suffering mental health problems – often without preparation or warning, or even a conscious choice. This, and their deeper personal involvement, makes the role of the family/friend carer very different from that of the professional carer, who chooses and trains for the role. Mental health problems often impact a person during their teenage or student years. As a result, family carers are frequently parents. They can find themselves caring for the son or daughter who, instead of growing increasingly independent, has returned home needing support. Their mental health issues mean they may need a lot of care and, at times, present with challenging behaviour. This can feel like a regression in the needs of the now adult child, and prove very difficult for parents and the rest of the family. Alternatively, the support may be given by someone’s partner or spouse. Here, the shift in role to carer may create issues of dependence and reliance. Changes in the character and behaviour of the person suffering can put a huge strain on the relationship. When an adult is struggling with mental health, the carer may be their child, and further questions of role reversal, boundaries and dignity arise. In some cases, this carer will still be young – carrying a responsibility and strain beyond their years. A person’s friend or family member may be very happy to offer support and take on the role of carer, providing someone to talk to, turn to, and be there at times of crisis. However, this can become all-encompassing and a greater weight than they are able to bear on their own. They can feel increasingly responsible for the person and become protective of them to the degree that they don’t ask for help for the person – or themselves – when it’s needed. Carers have to balance the needs of the person they are supporting with their own needs, and with the other responsibilities they carry. The combination of these can become overwhelming and many struggle to cope. If a carer is working, they will be juggling work with caring – and if they cease to work then they are likely to have financial problems. Carers are known to delay seeking help for their own health problems, often allowing their own health to deteriorate at the cost of caring. Any carer will need to balance their love, care and concern with the need to encourage independence and recovery. They have to find ways to avoid taking over or overcompensating for the person and their health condition. 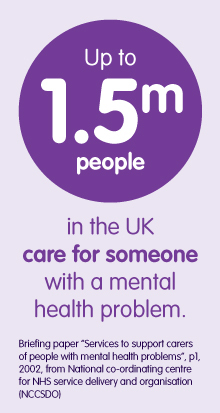 Most family or friend carers are not experts on mental health issues. If you’re a carer, do find support from specialist organisations (see below), both to help you understand the needs of your loved one and to support you as you care for them. Your needs are important as well: the mental health of carers can suffer through the stress of the role. Carers are likely to feel responsible for their loved one and be very committed to them, yet feel exhausted, trapped and – as a result – guilty. They can be so involved in caring that they cease to have a social life of their own, lack breaks and lose touch with friends and church. Church may be a real challenge, as the person with the mental health problem may not feel able to cope with going to church and yet also not want to be left on their own. This can limit the carer’s involvement in the life of their church. Alternatively, the carer may be embarrassed by the behaviour of their loved one or their inability to settle in the service. Don’t assume that if they are not there, it’s because they didn’t want to be. Keep in touch, and keep lines of communication open so they know they can ask for help if they need it. It’s important for a church to be aware that carers need support just as much as the person they are caring for. They may benefit from the offer of a break, or space to be able to think, or a chance to talk things over. There may be issues the church can help with, such as prayer needs, financial needs, helping them get support and specific practical needs. Carers all have their own needs – including taking breaks. Love does not prevent caring being stressful. The health of carers can suffer through the demands of caring and delays in seeking help for themselves. Carers can become isolated, and social contact is limited by caring. 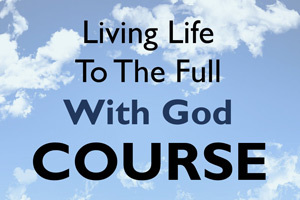 Caring can restrict involvement in church but does not stop the carer having spiritual needs. Carers find it hard to admit they need help, may feel guilty if they do, or embarrassed to admit they are not coping. Carers aren’t always the best people to provide all the required care – they may not have all the relevant expertise and may be too personally involved to see the whole need. Carers need to learn to involve others in the care of their loved one: to share the load, be able to take breaks and make sure their loved one doesn’t have ‘all their eggs in one basket’. This is especially crucial if it’s ageing parents who are the carers. Be aware of the needs of carers you know – pray for them, find or offer them a safe place to share about their experiences, such as a carers’ group. Offer respite opportunities, support, practical help and encouragement. Help carers to become aware of their own needs – and to look after themselves too.